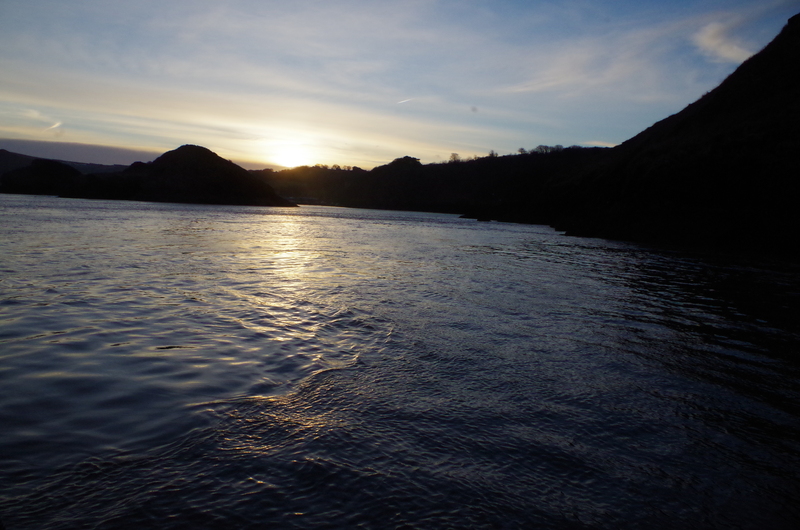 Its early February and minus five as I drive to Ilfracombe ready to sail out in the cold light of dawn in search of spurdog in the depths of the Bristol Channel. 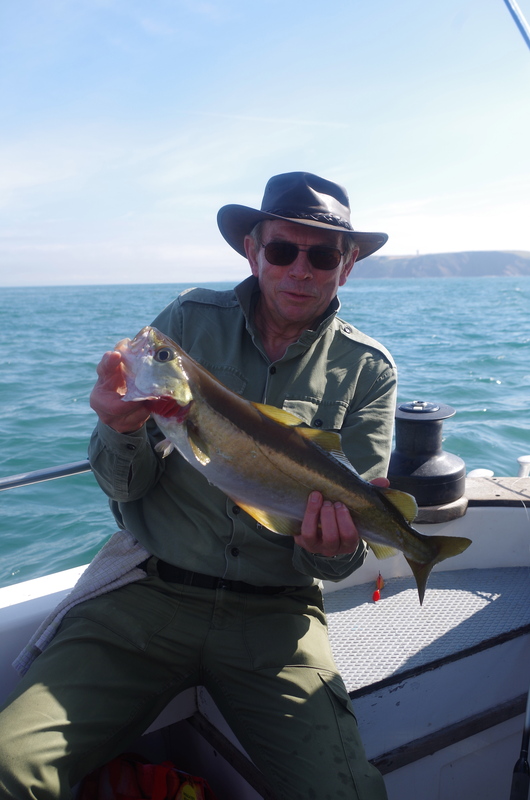 I am joining fellow members of South Molton Angling Club who enjoy several boat trips each year from various North Devon ports. 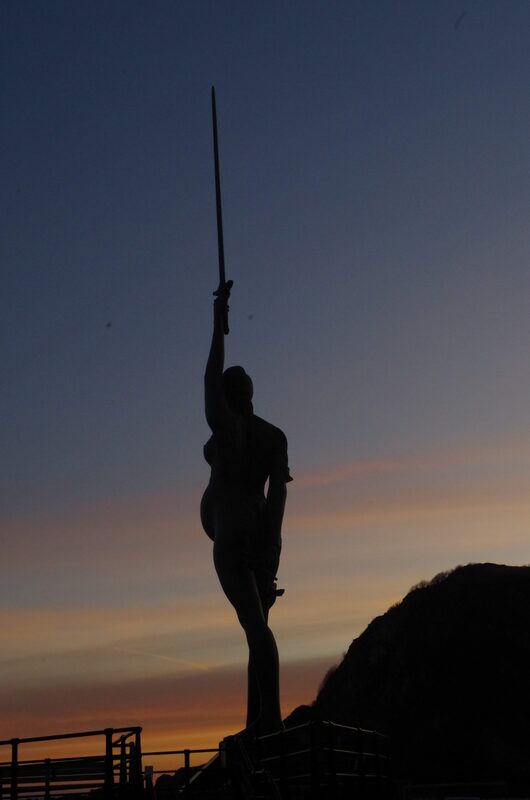 As I parked the car the famous Verity was standing tall against the sunrise. I greeted fellow club members as they arrived; some strangers to me other familiar faces. The normal friendly banter started to flow from the start and continued as we climbed aboard John Barbeary’s Bluefin. I always appreciate this part of the day as the boat steams out and we embark upon a new adventure full of promise. Today we are heading up channel and I relish viewing the familiar landmarks that I have grown up with. A landscape full of good memories mostly involving fishing. The ebbing tide and its swirling waters are illuminated as the sun rises above Combe Martin and the towering hangman hills cast their shadows across the water. 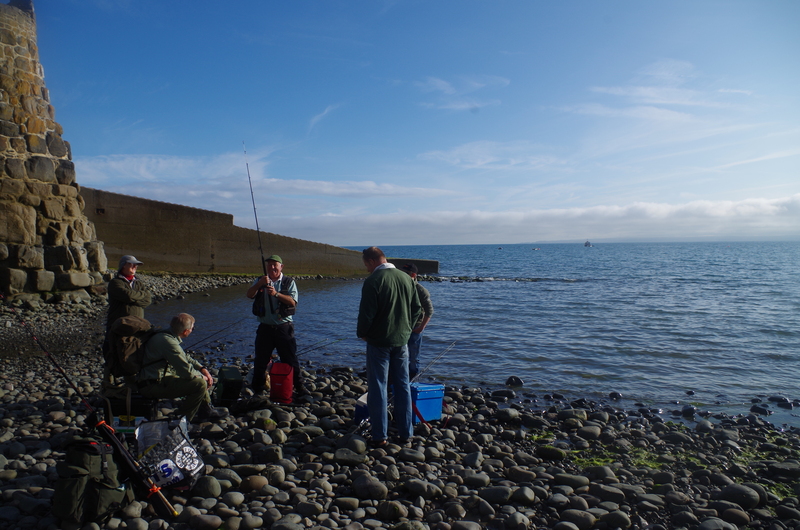 We are to fish close inshore to start the day intending to head out to deeper waters as the tide eases. The anchor bites in and we lower our baits into the greyish water allowing the weight and bait to hit the bottom with a pleasing bump. The wind has swung towards the South but the air is still chilled from an arctic blast that brought heavy snow to the hills that still decorates their crowns. Holding the rods, the wind chills the fingers despite wearing gloves, it’s a relief when John passes round steaming hot teas and coffees. The grandeur of the cliffs and swirling sea gulls gliding on the thermals are a pleasing backdrop as we await life to surge through our lines from the mysterious world beneath. After half an hour or so of limited sport its time to head out. I sit and chat with Kevin who has recently moved to Devon after working in Dubai for over thirty years. We chat about fishing, fish and life in different lands. 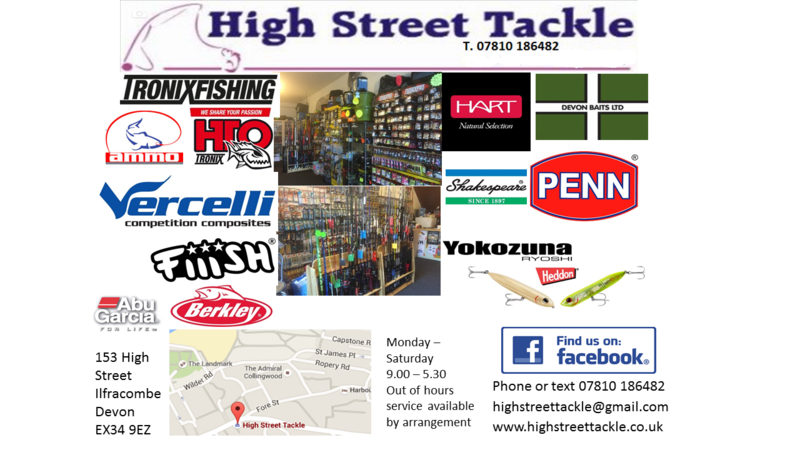 We also chat about fishing books and different authors inspiring each other to go out and buy new books to add to our collections. This is one of the many joys of boat trips. Over the years I have enjoyed many conversation’s absorbing glimpses and learning of far off lands through another’s eyes. The time passes quickly as the shoreline becomes ever distant. We must be five miles or so out in the channel before the note of the throbbing engine changes and the anchor is sent down. Hooks full of herring squid and mackerel are sent over the side and lowered to the sea bed far below. Once again, the leads bump bottom and we again anticipate that tug through the line. 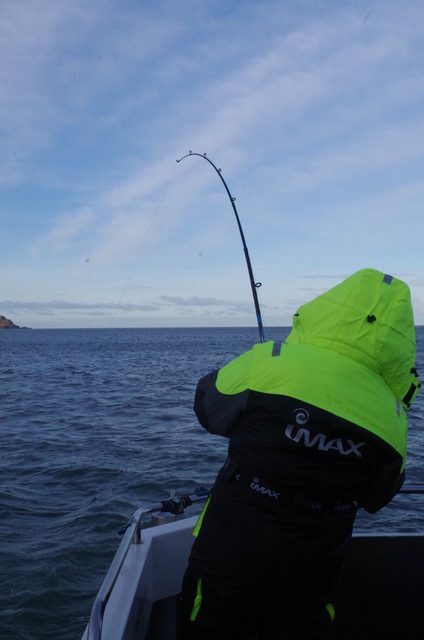 It’s not long before a savage tug signals interest in the bait. I wait until I feel that the fish has the bait within its jaws and then steadily wind the reel handle until I feel the weight of the fish. Slowly I persuade the fish to the boat and the waiting net. It’s a spurdog, the first of over thirty to succumb throughout the day. 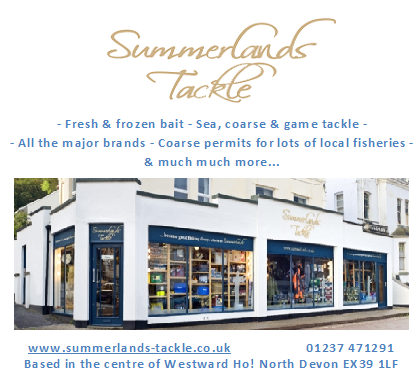 As the tide pull eases, we are able to reduce the weight and the battle between angler and fish is less hindered. 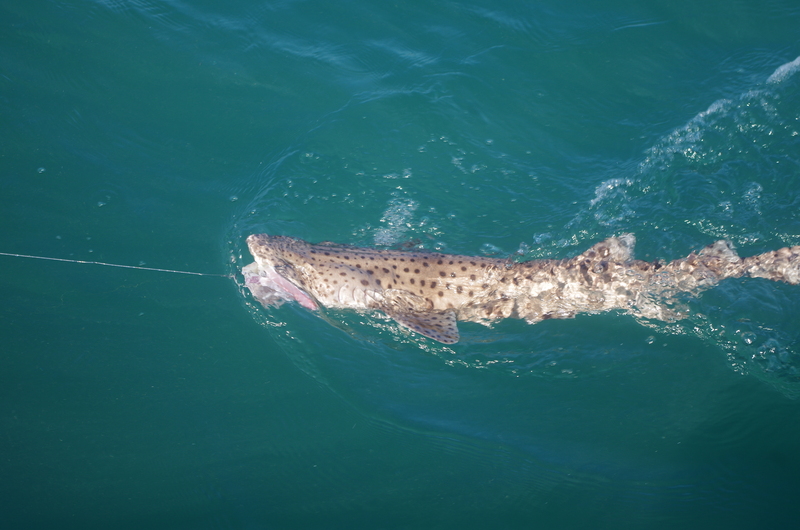 The spurdog average around ten pounds and are undoubtedly present in good numbers far below hunting for prey fish. A brisk west wind creates a lively sea; large ships pass by and I wonder where they are heading. We chat from time to time and go about the business of fishing each with our own thoughts or perhaps just savouring the moment. From time to time a hot drink is welcome to wash down the sandwiches and snacks. 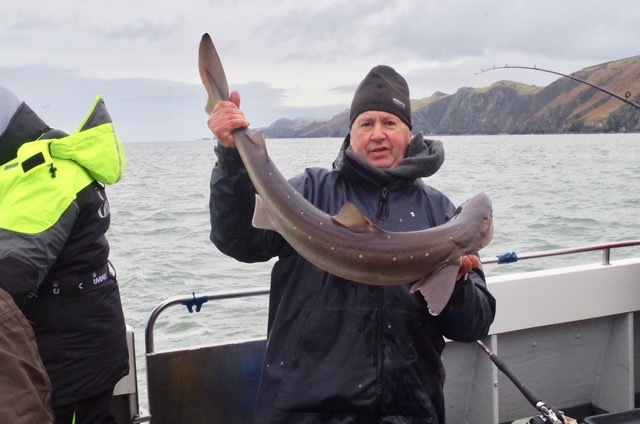 As the tide turns the bite rate eases and the numbers of fish decline with a few conger and dogfish starting to find the baits. All too soon it takes 2lb of lead to hold bottom and John suggests we head back closer to land. 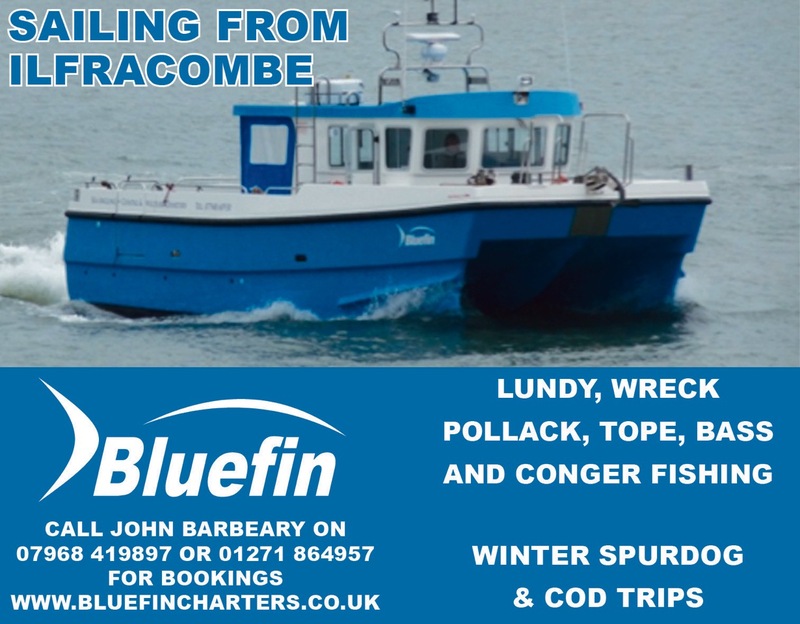 Bluefin rides the waves comfortably as we head towards ground to the West of Ilfracombe where we drop anchor off the rugged cliffs close to Lee bay. I am not so confident here but it’s not long before the fish start to come aboard. 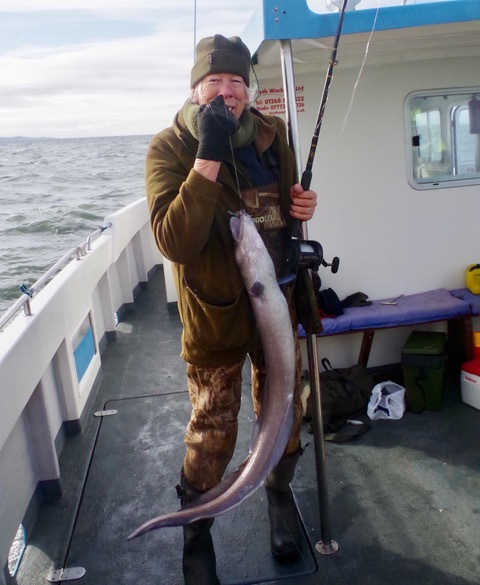 Kevin is thrilled to battle a conger of around 15lb to the boat. I hook a plump bull huss of 12lb that refuses to pose for the camera using every sinew of muscle to twist and turn frustrating my efforts to get a decent picture before returning the fish. More spurdog show, my best of the day a respectable 12lb 8oz. 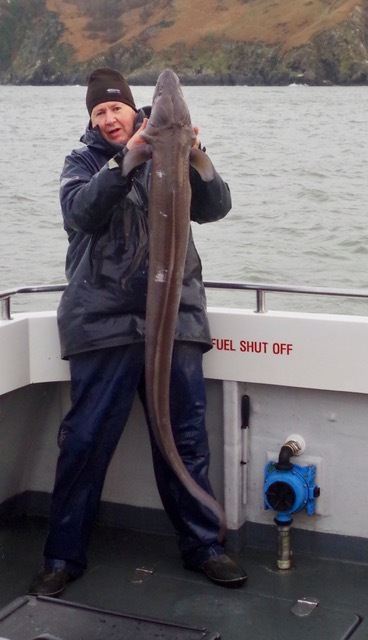 Eddie Rand’s locks into battle with something substantial and eventually persuades a 25lb eel to the boat. Moments later I hook into a fish that strains the tackle the rod absorbing savage lunges as the fish is reluctantly allowed to gain a few yards of line. A few minutes pass and the fish I assume to be a conger is almost to the boat when the hook pulls free and I am left wondering? A fresh bait is sent down and soon there is a repeat performance. 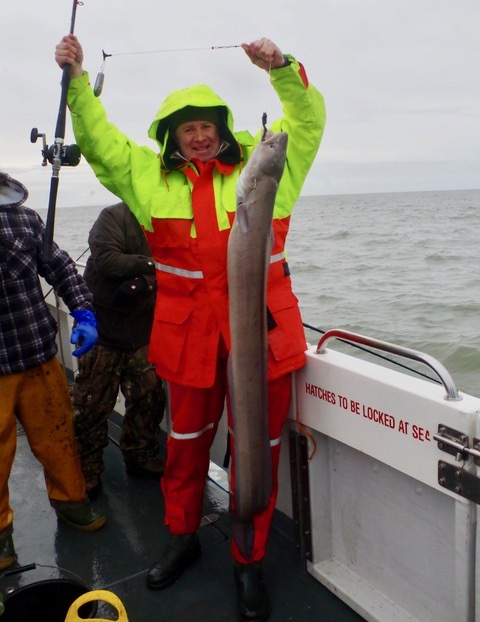 This time the battle goes my way and a big dark eel appears beside the boat. With a strong catfish hook, 175lb wire trace to the hook and 150lb mono to the top swivel I suggest John pull the eel through the door. We slip the hook out and drop the eel into a sack to get a weight. At 30lb it’s the fish of the day and a pleasing end to an excellent trip with good sport and great company. Roll on the next trip. 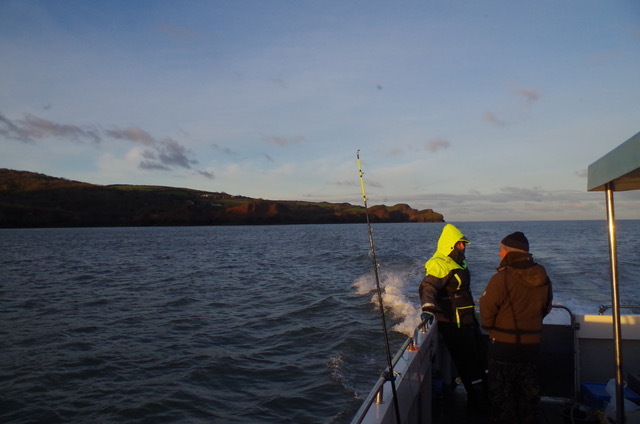 I joined South Molton Angling Members on a trip out off Clovelly aboard Shimano sponsored ‘Independent’ Charters skippered by Doug Walls. 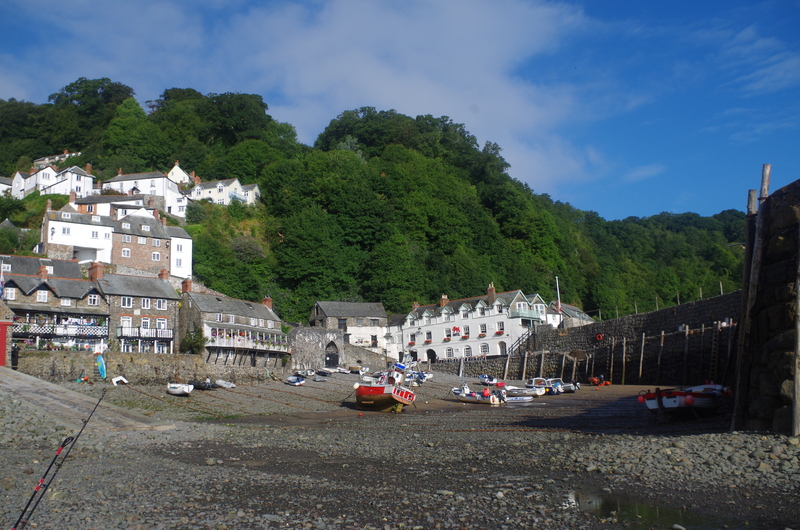 We met at Clovelly at 8:00am all keen to head out for another adventure at sea that commenced with the transfer of anglers and gear from the pebbly foreshore to the waiting boat a hundred or so yards offshore. All on board and Doug gave an outline of the days plan. 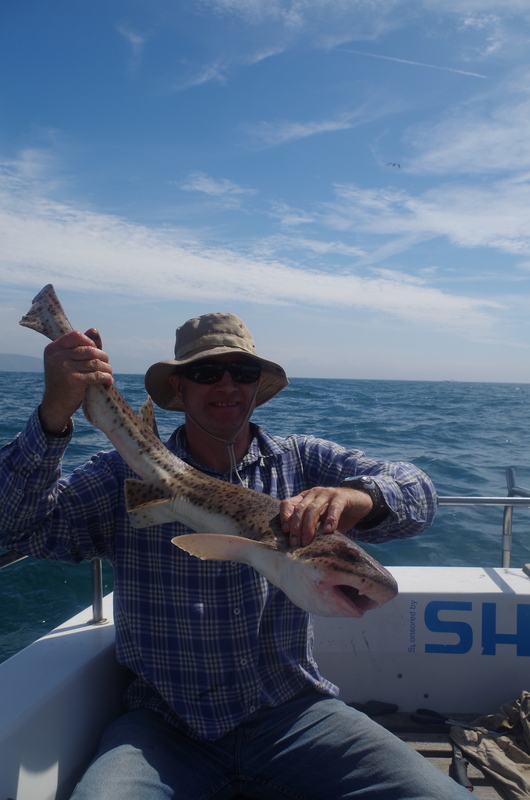 We would be venturing past Hartland Point to sample the fishing grounds West of Hartland at the Mouth of the Bristol Channel expectations were high for a variety of species. I have fished these grounds in the past and know full well that they can give excellent sport. The journey to the mark is an integral part of any day at sea and spirits were high as we rounded Hartland Point race where several porpoises were showing in the surging waters. The cliffs from Clovelly round to Morwenstow are wild and for the most part inaccessible those parts that can be accessed carry a rich vein of history including many a shipwreck. 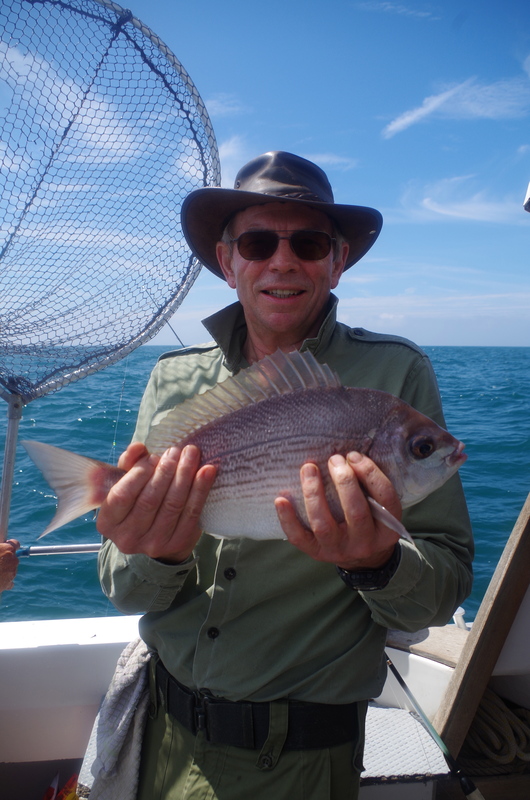 The first stop was to a reef where we drifted for pollock, mackerel or bass. First into action was Mike Good who swung aboard a pleasing pollock of around 4lb. 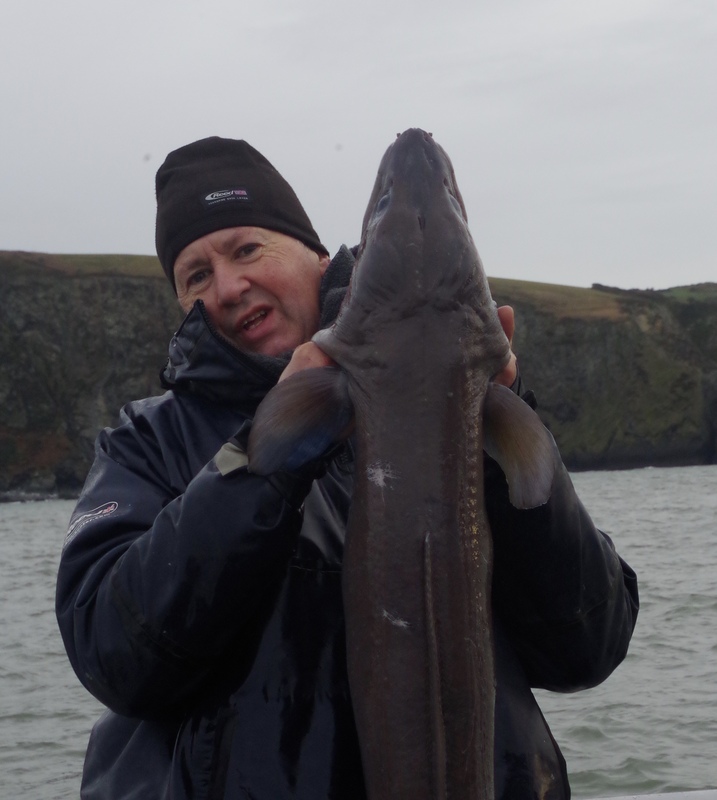 (below) Mike Good with a 4lb pollock. 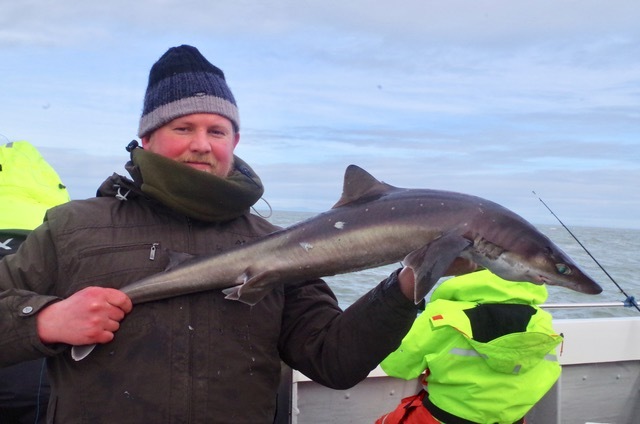 After a few drifts and a few more pollock Doug decided to drop anchor and see if we could entice a few tope, bream or huss. Within minutes of the baits hitting the bottom rods were nodding as a succession of bull huss seized our baits. There were a variety of tactics employed with some choosing big baits for tope or huss and others small baits for bream and other species. 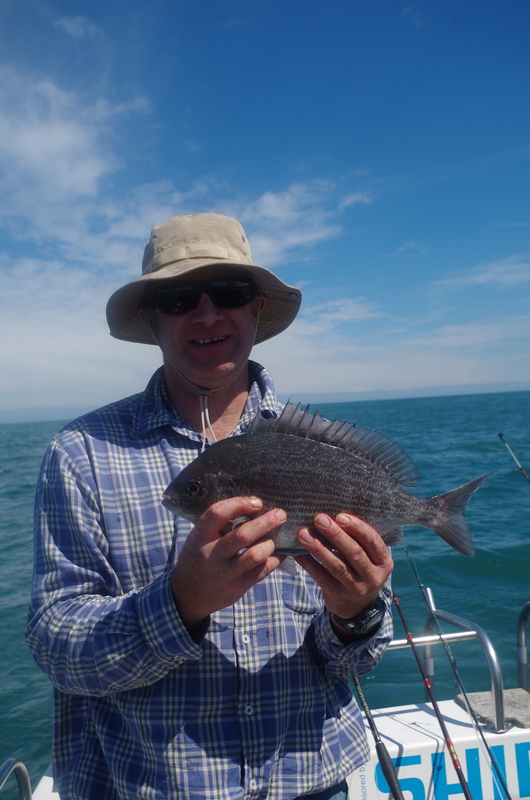 Black bream are great sport and good eating and it was great to see one of these come aboard to Ed Rands who was using back lug and squid baits. After an hour or so the tide eased and sport tailed off. A move to a mark further West was Doug’s choice and we steamed several miles before once again dropping the anchor. 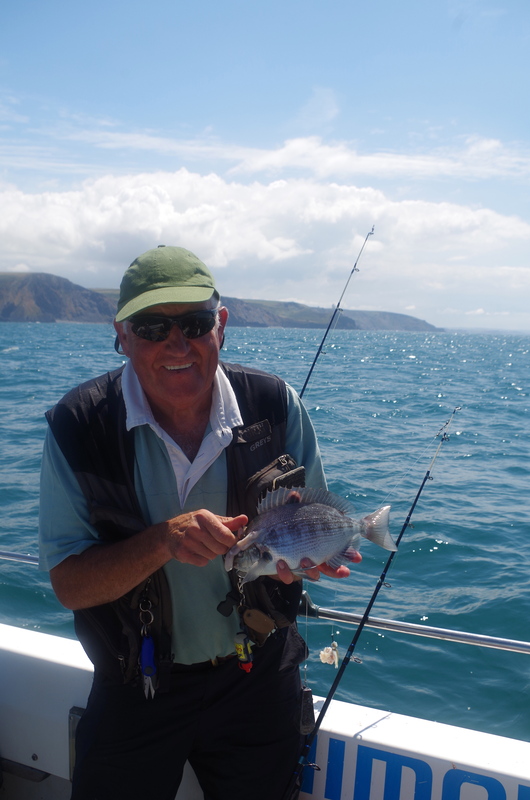 Soon after settling Mike Good hooked the best fish of the day a fin perfect black bream of 2lb 8oz. A couple more bream followed but sadly it was not a good as we had hoped for and bites were few and far between. 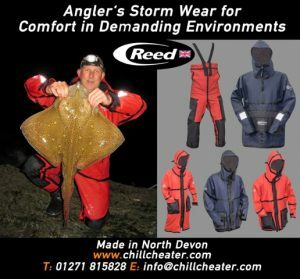 I always feel for the skipper at times like this for they have put the anglers on good ground but the fish are either not there or not playing the game. As time and tide ebbed away there were a few flurry’s of action with Ed Rands boating the biggest fish of the day a bull huss of 8lb 8oz. 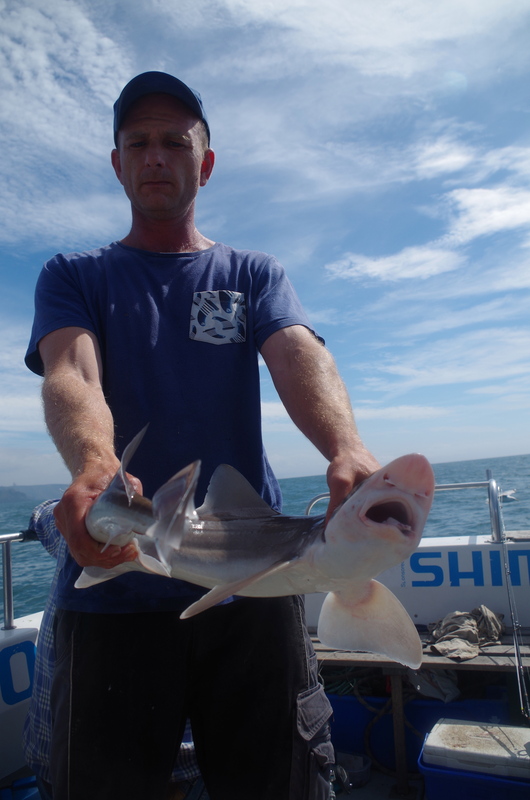 The day ended with ten species caught including, bull huss, dogfish, corkwing wrasse, mackerel, scad, pollock, smoothound, pouting, poor cod and black bream. 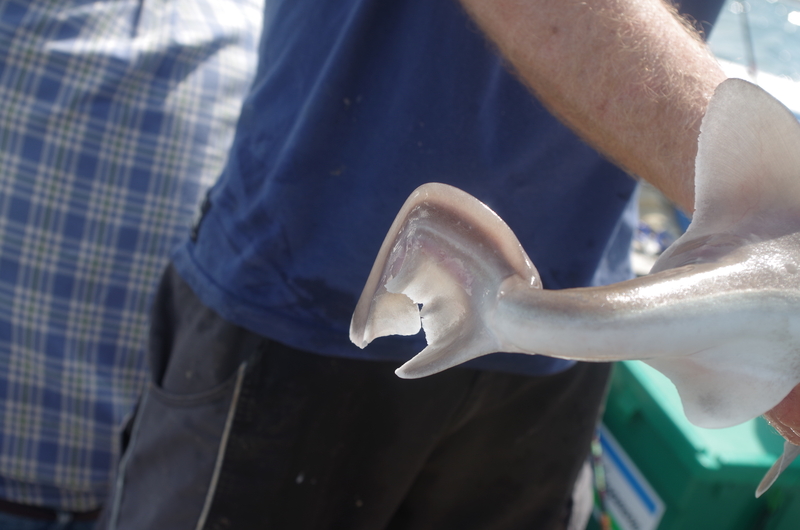 Robert Kingdon boated a smoothound with an unusual tail deformity. 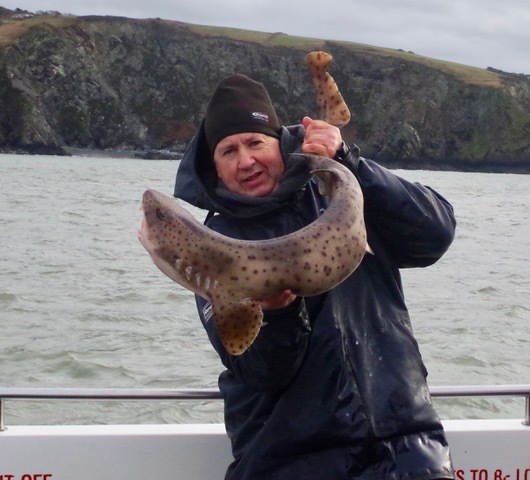 I hope to return to waters off Clovelly next year with the South Molton anglers and enjoy a day afloat with Independent Charters. Doug kept us supplied with tea and coffee all day and did his best to put us on the fish.